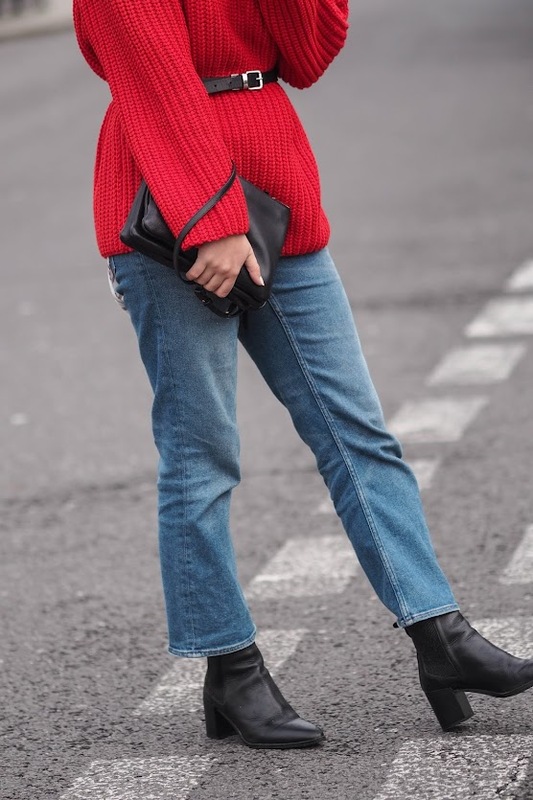 Red jumpers like these are most definitely made for Christmas day. I don't know about you but as much as I love a novelty jumper, I prefer to dress up for Christmas especially this year as my husband and I are spending it with family for the first time in 5 years! 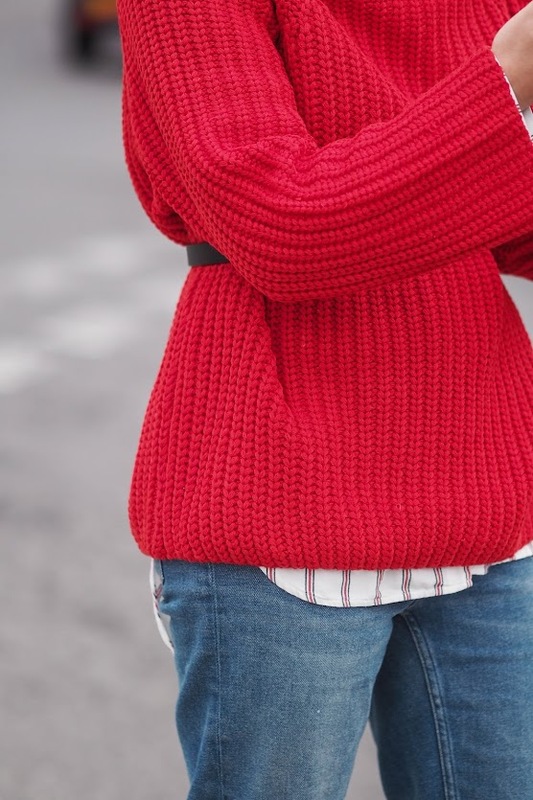 This jumper is an amazing tone of red, it's both bright and festive but not too in your face to obtain your wear. The neck is a funnel type, in-between polo and crew which is perfect for those where the hell is my scarf kind of days. (If colour doesn't exist in your wardrobe then you'll be happy to know you can purchase this chunky knit in black too. I thought about styling this knit with my go-to, all black, which is something I do on an almost day to day basis. But the red was way too over powering for my liking. Instead the blue of the denim seemed to take the edge of! You look gorgeous Hannah! I loveee the knit, it looks so fab with the camel coat too! Loooove the jumper, and it looks great with your striped shirt underneath. Great effort... superb organic content. If you are interested in Top 50 HD Love Wallpapers do have a look. Great effort... superb organic content. If you are interested in how to lose 20 pounds in 2 weeks do have a look. Nice it looks beautiful on you.